One of the biggest medium-term risks for Ukraine's economy is emigration, especially in the conditions of low growth of labor productivity. It is estimated that between 7 and 9 million Ukrainians are already working abroad. The head of the Ukrainian Association of International Employment Agencies Vasily Voskoboynik emphasizes that the majority of the job placement market is operating in the informal sector and consequently these estimates are marked by considerable uncertainty. According to the analyses of the Ukrainian central bank NBU, in the years 2016-2017 Ukraine lost between 5 and 8 percent of its labor force (in comparison to 2015) due to economic emigration. The wave of migration, heading mainly to Poland, may still intensify in the coming years. According to the estimates of the Department of Statistics of Poland’s central bank, Narodowy Bank Polski, on average approximately 900,000 Ukrainian citizens resided in Poland in 2017. In the first three quarters of 2017 these immigrants transferred more than USD2.33bn to Ukraine. 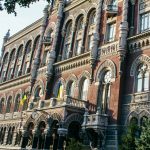 One additional risk associated with the activation of economic emigration from Ukraine is the increase in the number of students pursuing education abroad, who will probably not return to their home country—states the Ukrainian central bank, NBU, in a report on the most important processes currently taking place in the Ukrainian economy. Among the factors conducive to emigration the NBU indicates, among others, the war in the eastern part of Ukraine, the macro-economic crisis, the deterioration of households’ economic situation and the high level of unemployment among young people. 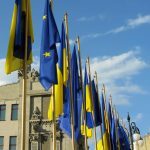 According to the estimates prepared by the Ukrainian Ministry of Social Policy, the process of emigration from Ukraine will intensify in the coming years. And the people leaving the country will increasingly include highly qualified professionals. 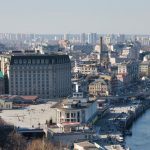 This is confirmed by a survey conducted in January 2018, by the Kiev International Institute of Sociology, which indicates that more than 37 per cent of all Ukrainians want to leave the country in search of work. The trend towards permanent economic migration is dominating. The desire to leave the country was indicated by 55 per cent of Ukrainians between the ages of 18 and 29, by 44 per cent of those between the ages of 30 and 39, and by 33 per cent of respondents aged 40 to 50. As many as 40 per cent of them are people with higher education. The Ukrainian authorities are slowly awakening that the mass economic emigration of citizens poses risk for the country’s economic foundations. Simply put, if they are not present in the country, then there is no chance for them to contribute to economic development. “One of the biggest medium-term risks for Ukraine’s economy is emigration, especially amid low growth of labor productivity and other factors affecting the growth of production. The increase in earnings, which is stimulated by emigration, and the increase in social standards generate a pressure on the labor market, on the profitability of enterprises, and on other macroeconomic indicators,” says Dmitry Sologub, the deputy Governor of the National Bank of Ukraine. “We must stop economic emigration and create conditions for people to stay in Ukraine. This problem could be solved within a few years. Our goals are high salaries and high-quality jobs,” argues the Ukrainian Prime Minister Volodymyr Groysman. However, hardly anyone actually believes that the process of emigration can be easily stopped. Especially as the increases in social standards and earnings, as proclaimed by the representatives of the authorities, are rather meagre in reality. Today, the minimum wage in Ukraine is UAH3,200 gross, i.e. about USD111, and the government recently announced that it is unrealistic to raise it to the level of UAH4,000 gross, or USD140. Meanwhile, the costs of living for an average Ukrainian are slowly climbing towards the levels recorded in Poland. Ukrainian employers are having increasing difficulties with finding workers. There is already a shortage of construction workers, engineers, agronomists and salesmen. The problem of intellectual collapse is becoming noticeable—the retiring scientific staff is not replaced by new professionals who are choosing a career abroad instead. Last autumn, analysts from EY Ukraine analyzed the condition of 160 companies operating on the Ukrainian market. 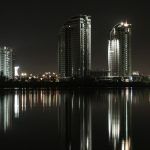 As many as 71 per cent of the surveyed companies had problems with employees retention, as the best ones are leaving the country in order to work abroad. The remaining respondents expect such problems to occur in the near future. The biggest problems with emigration are experienced by companies operating in sectors which require high qualifications—this problem has already affected 86 per cent of enterprises operating in the telecommunications sector and 80 per cent of companies in the sector of household technologies and electronics. The movements occurring in Ukraine coincide with the supply of workers on the western markets, where, for example, several hundred thousand IT specialists are needed. According to the analysts at EY Ukraine, highly qualified personnel is exhibiting the greatest willingness to leave the country. The impact of emigration on the country’s potential GDP will be quite strong, especially if we take into account the fact that young men, who are the most sought after in the job market, are leaving the country—stated the NBU in its assessment of the situation. The economist, Oleg Ustenko, from the Blazer Foundation, warns about the imminent collapse of the pension system, which he thinks Ukraine could face within the next 2-3 years, and which will be the result of the massive emigration of its citizens. “The outflow of workers will further slowdown the already very low rate of growth of Ukrainian GDP. The tax revenues will decrease and as a result the collapse of the retirement pension system will be practically unavoidable,” says Ustenko. The situation is already very difficult. Despite the dramatic decline in the number of retirees, from 16.8 million in 2013 to 11.9 million in 2017, the deficit of the retirement pension fund increased from UAH21.8m to UAH145bn. Additionally, two-thirds of Ukrainian pensioners receive a starvation-level minimum pension: UAH1,312, that is approx. USD40.6 per month. Even according to official standards this corresponds to about a half of the subsistence minimum necessary for survival. Only 12.8 million employees paying retirement pension contributions are currently working to support the Ukrainian pensioners. 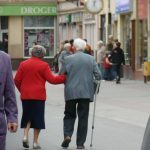 In Ustenko’s opinion, the proportions are already reversed – there are as many as 12 retirees for every 10 workers, and the burden placed on one employee, due to the needs of the pension system, is already one and a half times higher than the permissible levels. “Mass emigration will soon lead to a situation where we will have 1.5 statistical retirees per one employee,” estimates Ustenko. The only positive aspect of the mass economic emigration of Ukrainians is the increasing stream of money sent back to families remaining in the country. 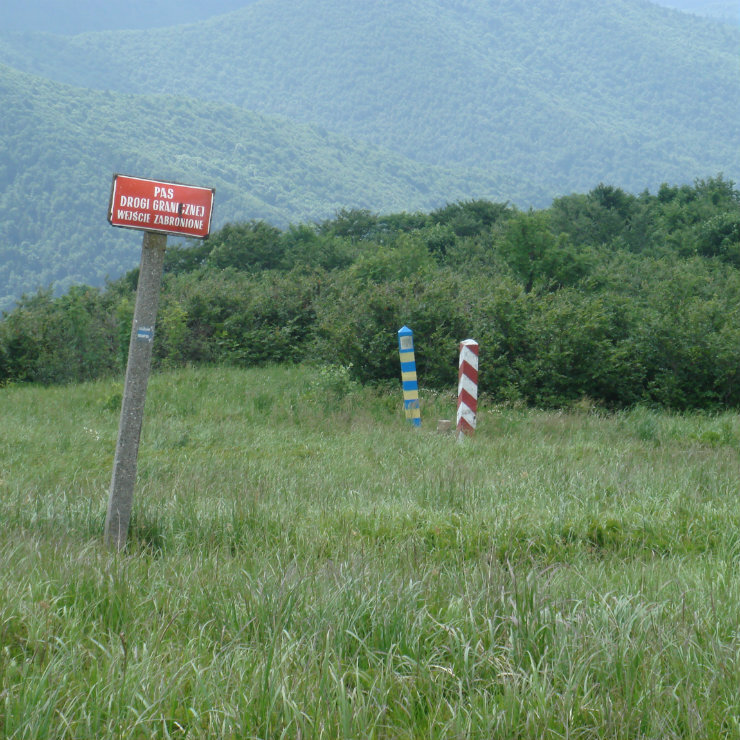 According to the NBU, this year migrant workers could transfer a total of USD9.3bn to Ukraine. That’s about USD2bn more than in 2017. For comparison—last year the total value of direct foreign investments in Ukraine reached USD2.5bn. According to estimates presented by the chairman of the Committee of Economists of Ukraine Andriy Novak, approx. USD1.5bn out of this amount are in reality funds previously siphoned off to tax havens by the oligarchs that have now been bought back to the country. Only USD1bn is capital actually invested in Ukraine by foreign investors. “Today the funds sent by the migrant workers have a greater impact on the foreign exchange balance than the investments supposedly attracted by the authorities,” commented Novak. Over time, however, this stream of money may dry up as well. Thus far, the structure of economic migration was dominated by people going to work abroad for a short period of time, who were sending money to their families remaining in the country. Now a reverse trend is becoming increasingly visible—after settling in their new country the economic migrants are bringing their families over to join them. The need to transfer money to Ukraine therefore may disappear.